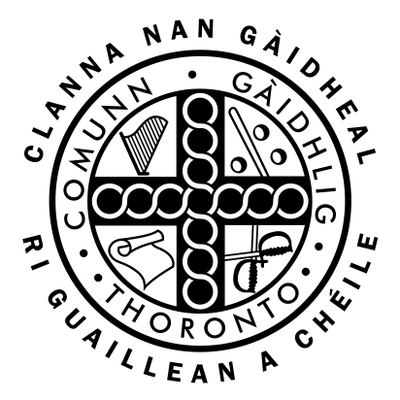 Organizations in Ontario and beyond work hard to support, sustain and promote the Scottish Gaelic language, history, culture and community though a variety of ways. Below are some of these events and opportunities, in addition to Comunn Gàidhlig Thoronto's events. Do you have an event or opportunity you would like us to share? Please send us an email with details. Information about CASSOC's newsletter, AN DROCHAID can be found here. Tartan Day Spring Ceilidh in Toronto will be on April 6, 2019. Here are the details. 2019 Spring Colloquium: A showcase of current research on Scottish history underway in the Centre. Saturday, April 6 at Knox College, University of Toronto. Details here. The Centre for Scottish Studies is delighted to assist the Guelph Civic Museum with their Fifth Friday Pub Night on 29 March 2019. Please check back here for more information as it becomes available! June 23, 2019 – June 28 2019. Registration closes June 1st, 2019. Details here. Advanced Gaelic Immersion week in South Uist! July 6-13, 2019. St. Andrew's Charity Ball - November 30, 2019. Details here. Year-round opportunities to learn Gaelic language and culture in Nova Scotia including summer school, March break programs, immersion courses, Gaelic weekends, online lessons, and more. More info here. Lees-McRae College in Banner Elk, North Carolina, USA. Details here. 2700 Evergreen Pkwy NW Olympica, WA, USA. Details here.